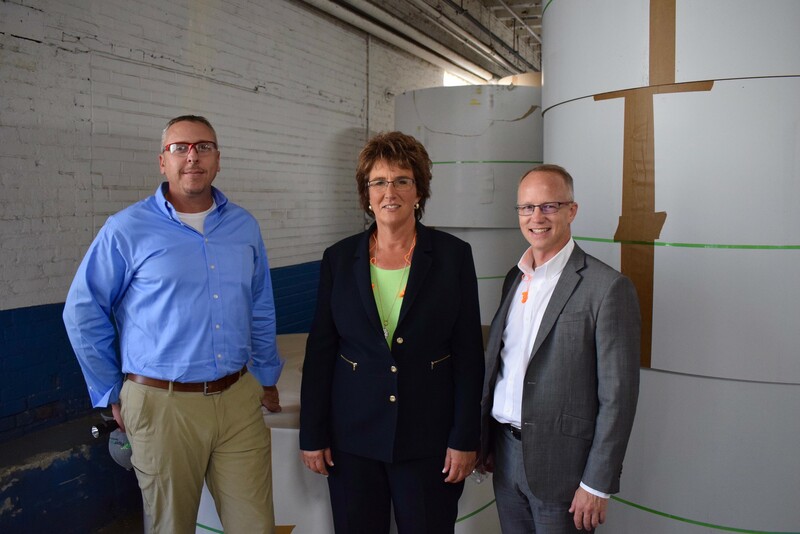 PaperWorks CEO Kevin Kwilinski and GM Chris Wetherford welcomed Congresswoman Walorski and her staff as she toured their Wabash facility. This mill site dates back to 1890, with coating capabilities added in 1930. Rep. Walorski spoke with employees as she toured the facility and thanked them for their hard work and recognized PaperWorks as a leader in the community. Kevin Kwilinski noted, “Congresswoman Walorski’s policies have been helpful to capital investment at the facility, enabling jobs to continue to be able to grow”.